The Academy believes that your decision to continue your education will present many opportunities in the continually expanding world of sport. We hope that we will be able to assist you toward the successful completion of your educational and career goals. Students are interested in taking one or more courses but who are not interested in obtaining a degree may apply for non-degree seeking status for the level of coursework that they wish to complete. The Academy offers rolling registration for all online courses. Courses are offered year round and students may register and begin working in a course at any time in the academic term once being officially accepted. Students wishing to enroll in 200-400 level coursework would apply to the bachelor’s program as a non-degree seeking student.  Students wishing to enroll in 500 level coursework would apply to the master’s program as a non-degree seeking student. Students wishing to enroll in 600-700 level coursework would apply to the doctoral program as a non-degree seeking student. All prospective students are required to complete the online application form and pay the $50 application fee. The fee can be deferred until first enrollment. For 200- 499 level courses: Transcripts must show enrollment in at least one course at the college level OR official copies of secondary-school transcripts showing completion of a high school diploma or its equivalency. Students who have attended a college will not be required to send in copies of their high school transcripts. For 500-599 level courses: Successful completion of an accredited undergraduate program in any discipline. For 600-799 level courses: Current enrollment or successful completion of an accredited graduate program in any discipline. International students who have earned international credits only may submit a credential evaluation in lieu of international transcripts for non-degree seeking status. Note: Financial aid is not available from the Academy for non-degree seeking students. If you are planning on using any courses for transfer and/or prerequisite credit, it is very important that you contact the institution to which you wish to transfer these courses for credit. Each institution will have its own rules and regulations regarding acceptance of credit with which you must comply. Additional course information may be obtained by emailing admissions@ussa.edu.